The first Virtual US Amateur competition on the eSports World Golf Tour was launched Thursday by the US Golf Association using iconic Pebble Beach as the venue. The event, developed with Topgolf, will feature a head-to-head final round showdown in Atlanta on September 22 where the finalists play an 18-hole match on a live big-screen television. The tournament will be similar to the Virtual US Open, which has been running for 10 years with more than 4.7 million participants. This year, 3.5 million Virtual US Open rounds were played. "Today, millions of people play and watch eSports, making it the fastest-growing phenomenon in media and entertainment," said Navin Singh, the USGA head of global content and media distribution. "The inaugural Virtual US Amateur will bring the eSports experience to golf." Contestants can play unlimited qualifying rounds through August 26 with the top 32 scores seeded into two 16-player brackets. 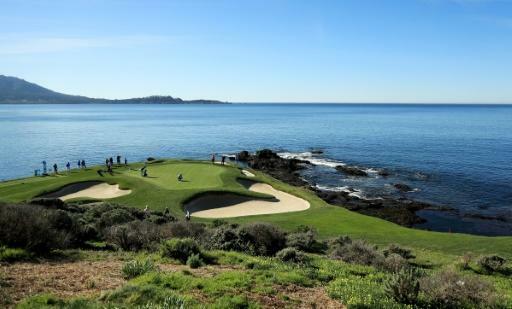 Starting August 29, competitors will meet in stroke-play matchups at virtual Pebble Beach. "The US Amateur-style format of this new tournament and live championship at Topgolf Atlanta Midtown will create an exciting virtual golf experience for competitors and spectators alike," said Topgolf Media president YuChiang Cheng.